Hello and welcome to the new Intrepid English website. What do you think of it? I’d love to hear your feedback on the new look. For those of you who are new to Intrepid English, let me introduce myself. My name is Lorraine and I started Intrepid English back in 2013. Since then, I have had the pleasure of teaching many students from all over the world using Skype. I am often told that English can be a difficult language to learn; there are so many grammar rules, and exceptions to those rules, that some students find it hard to remember them all. Many learners of English do not have the opportunity to spend time with a native English speaker on a regular basis. Taking English lessons with Intrepid English gives you the benefit of talking to a native speaker regularly, at a time that suits you. We understand that it’s not always possible to commit to the same time each week. Learning a language is much easier when you can practice in your own time. 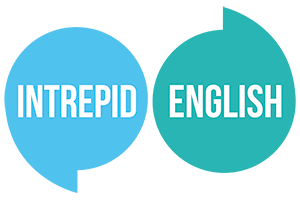 After each lesson from Intrepid English, you will be sent a feedback document containing notes from the lesson, new vocabulary, grammar tips and even an audio file of the new words and phrases from the lesson spoken in a clear British accent. You can listen and repeat as many times as you like. The Intrepid English approach to English lessons is simple: A friendly, professional learning environment will help you to reach your goals faster, and have fun at the same time. You will look forward to your English classes because you know that your teacher is enthusiastic about your progress. So why not take a look at the lessons on offer on our Courses page. Booking a lesson or course is simple and you can pay with Paypal. It couldn’t be easier. If you have any questions or comments, I’d love to hear from you. You can contact us here or leave a comment below. I look forward to helping you reach your English language goals.